So the Window family template comes with hard coded 'Height/Width/Default Sill Height' Type Parameters and Ref Planes. Does everyone use these? The reason for asking is, I remember from one of Twiceroadsfool's door mega-threads that something was said about prefering the use of instance parameters for height and width control as opposed to type parameters so I was wondering if how many others follow that approach and apply it to window families as well? If so, as we cant change the default parameters to instance parameters, do you simply ignore them, do you start your window family templates from a wall based GM and change the category to windows so that you don't have the extra ref planes, or something else entirely? I'll admit I've always used types for sizes but I wanted to try and understand what benefits there are using instance parameters instead, especially if I have to try and convince others its the better way to go. Hi, I'm following that approach "the use of instance parameters for height and width control as opposed to type parameters" let me to have more control, and yes I'm changing the default parameters, I'm Starting my windows with a default template but in lieu of modeling all window components inside that template I'm modeling some things as generic models, talking about extra reference planes I've noticed I need less ref planes to do my windows . Last edited by Andres Franco; September 4th, 2018 at 03:11 PM. By this you mean Metric Window.rft? My only concern with instance parameters for width and height is the potential for a user to have differing values but yet still call the same window by the same name in a schedule. Yeah you can, just not in family types window. Select the dimension and underneath the select parameter dropdown is a checkbox to make it an instance parameter. Ahhh, I forgot to look for that as its in a different location since I was last using Revit. Types for windows, unless you schedule each window independently like you would a door. I have mine setup so the window itself is a type (Material, Type (DH, SH, Casement), and Grouping (single, pair, etc)) and then the nested trim pieces are instance based, with the exception of the interior casing since it tends to be the same throughout the project. Just to be clear, my thoughts on Instance vs Type in that thread you reference, pertain to DOORS. My WINDOWS are all Type Parameters for sizes, and Instance only for Trim selection and wall thickness offsets (very similar to what Chad is describing). The way Windows and Doors get documented in projects are completely different, and i would not (personally) recommend Instance based Windows. Also, i dont use the OOTB parameters at all. Hi Aaron. I never understood the benefit of instance based doors having never tried it, but I had some memory where I read you had switched parameters from types to instance and wasn't sure if you had made the same choice for you window families as well, but thanks for clearing that up. I'm glad I didn't start using instance based windows, I can only imagine the mess others would start creating with those. The way Windows and Doors get documented in projects are completely different. Maybe this a geographical difference between us, but I've always found the window and door schedules produced by the different companies I've worked for to be quite similar in their content. The OCD in me caused me to start testing with a Wall Based GM recategorised to a Window just so I don't have to see the default Window Head and Sill ref planes. Of course the hard-coded parameters get added as soon as the category is changed but like you I wont use them and just use my own. Also, I don't think I have ever seen any screenshots of your windows (if you've ever posted any that is). 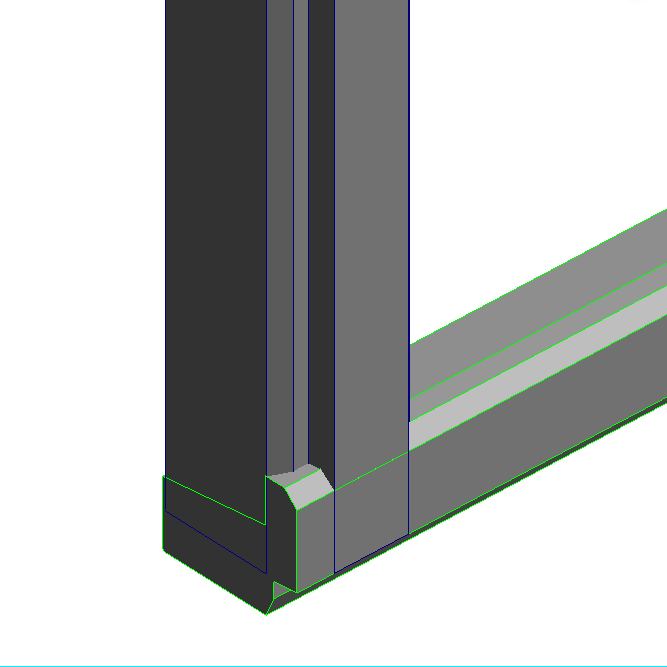 Whats your approach to modelling manufacturers window frames? 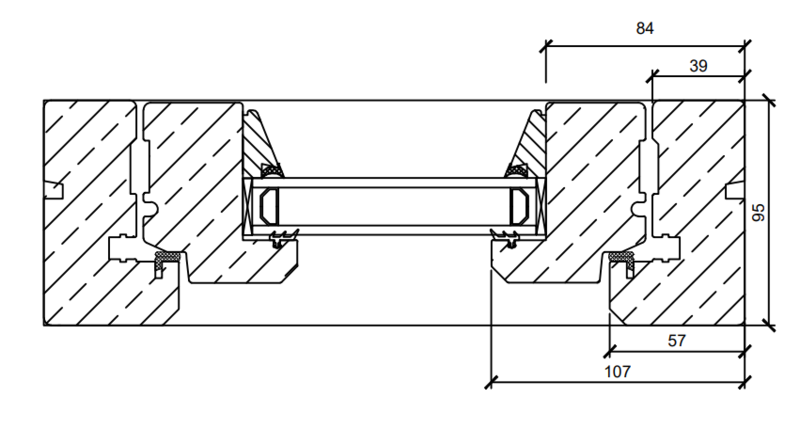 What I mean is, if a manufacturer's head/jamb/sill profiles are all slightly different, would you model try and model them accurately using sweeps and voids to clean up their intersections to correctly represent the frame in 3D? 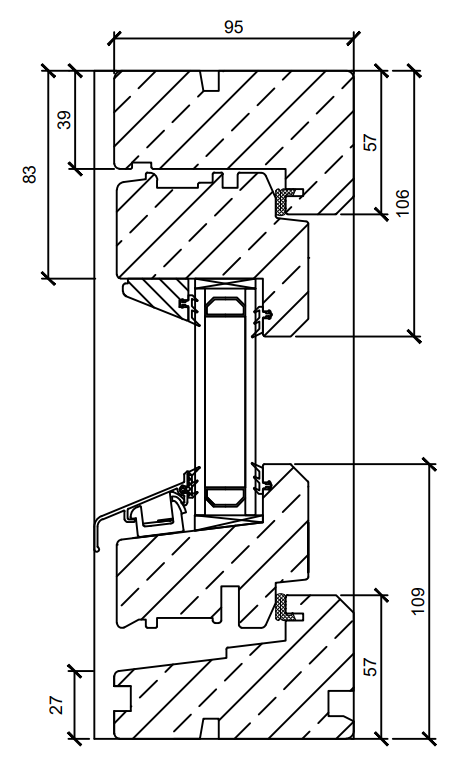 Would you say that is acceptable route to go down or avoid at all costs and just use a single sweep and the same profile for each component? The frames won't be seen in plan or section (Detail Items will used for those) only in elevation & 3D.